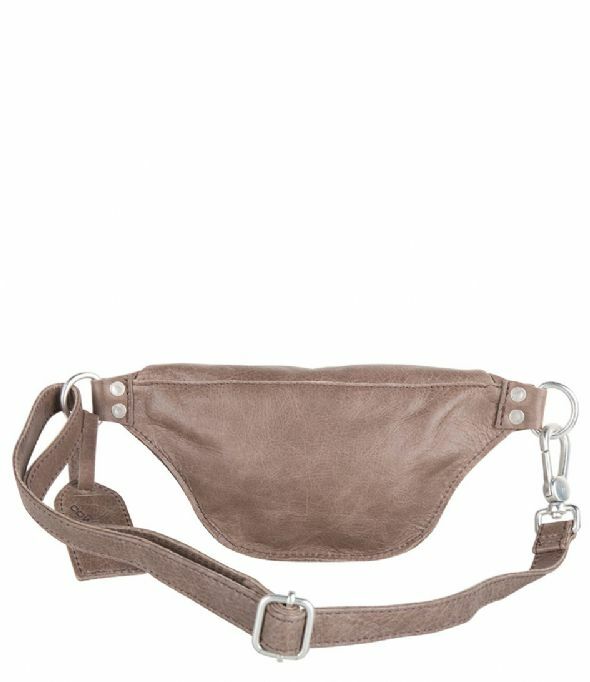 Fanny Pack Dixon is a sturdy leather waist bag. 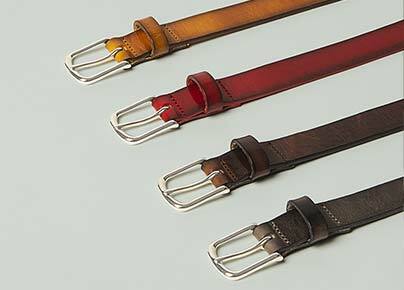 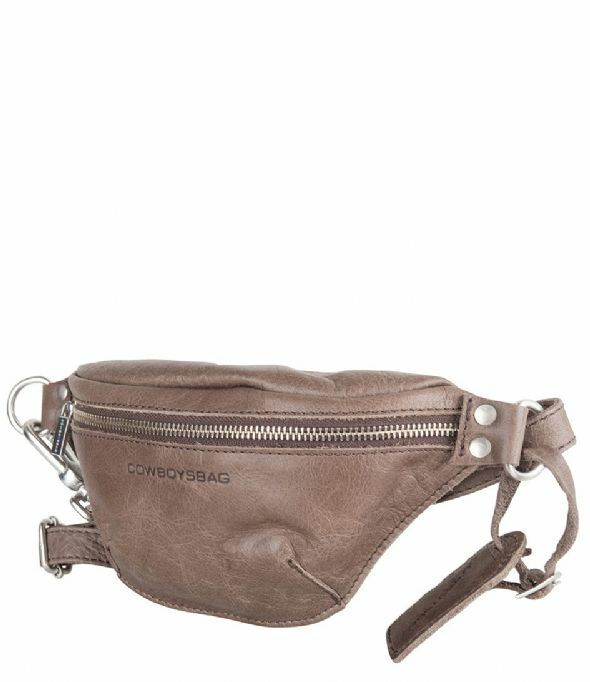 The waist bag is made of high quality leather and finished with silver colored metal. 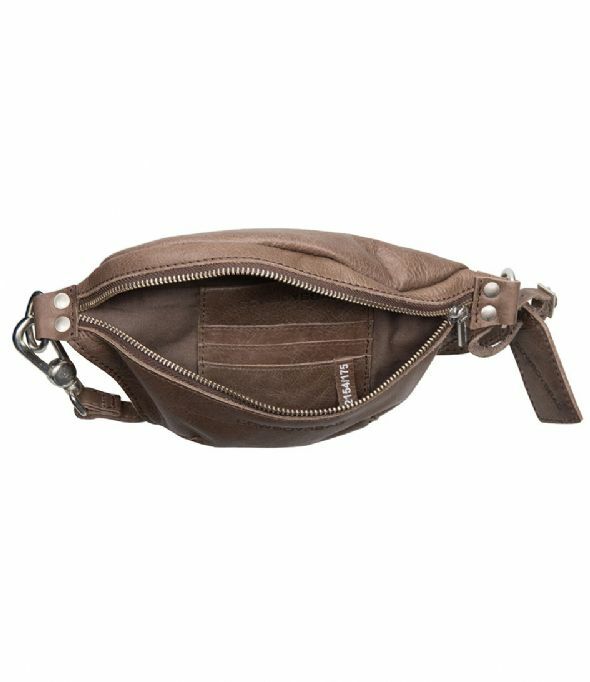 The waist bag has a compartment with zipper. 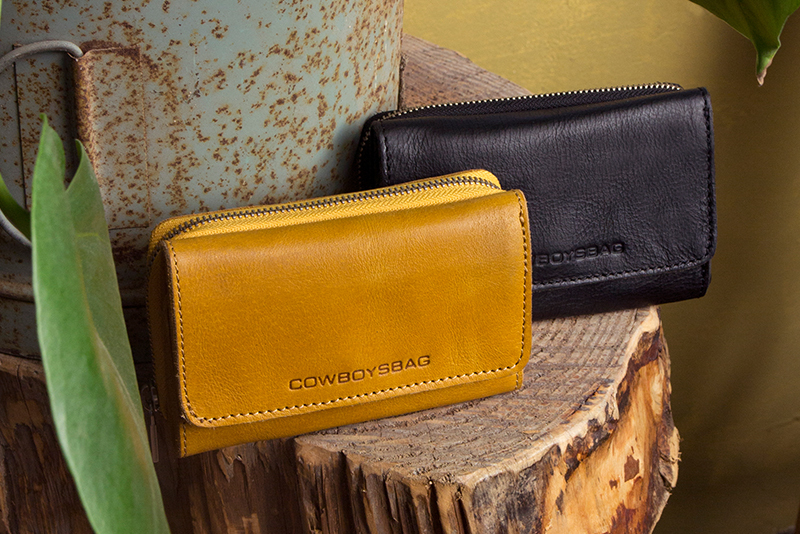 The inside has three compartments for credit cards. 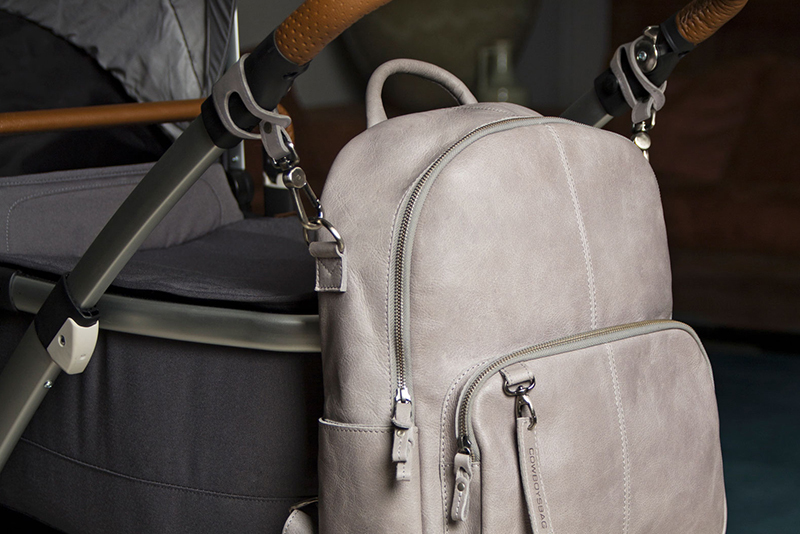 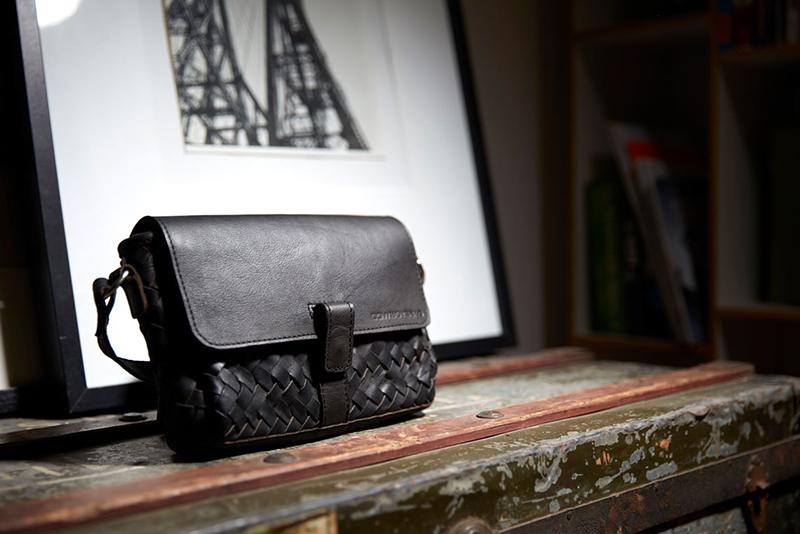 The size of the hip bag is easy to adjust with the slide buckle.